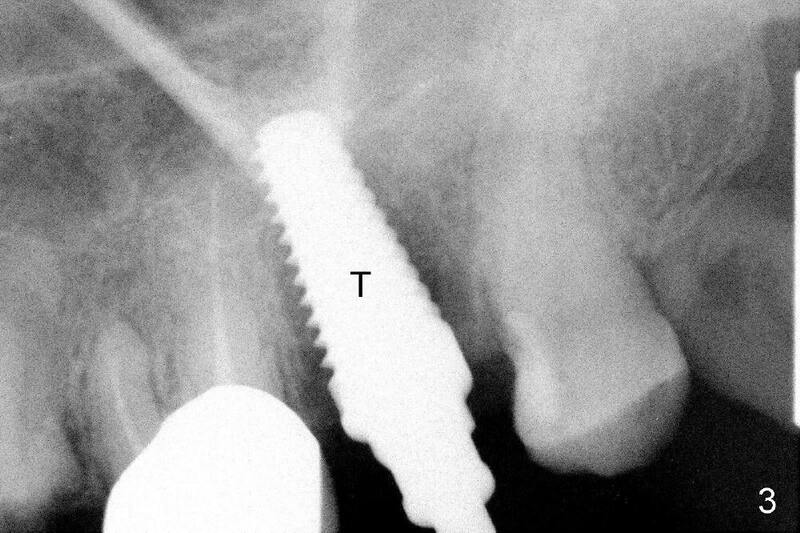 One challenge to place immediate implant in a molar is how to close the large irregular socket. 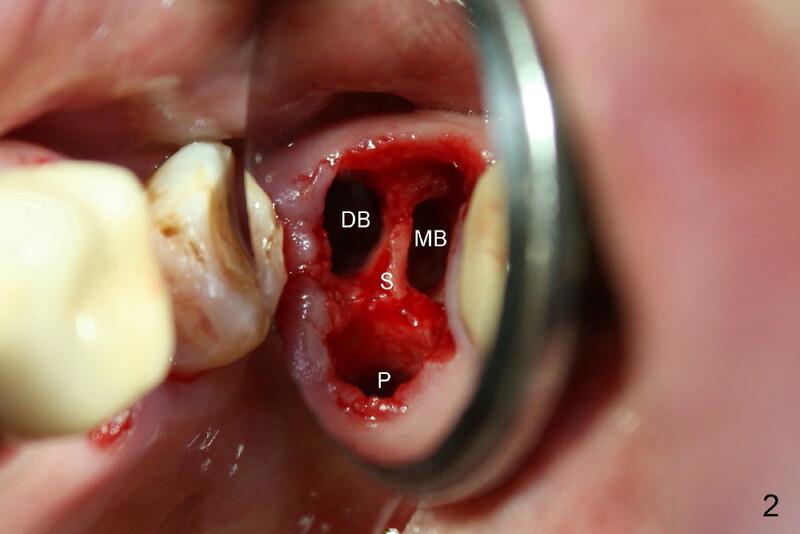 It is traumatic to raise buccal and lingual flaps. Tension may cause the wound to re-open. 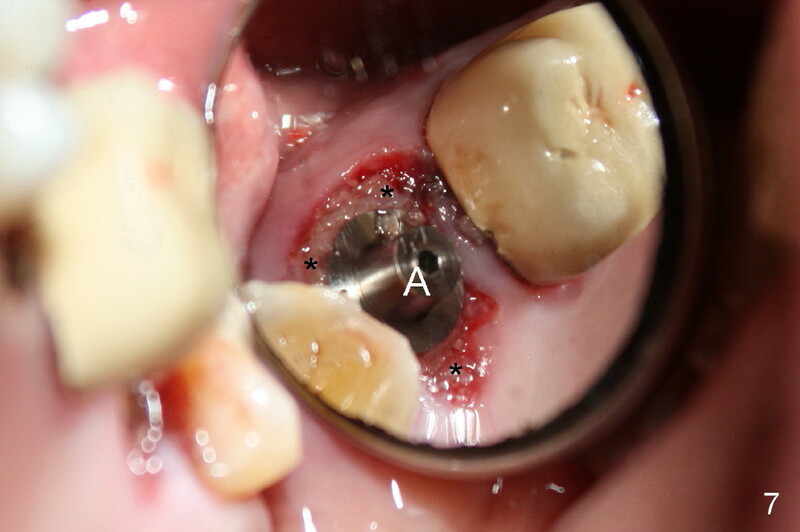 A rounded large healing abutment could close one dimension of the irregular socket, leaving buccolingual space open for the maxillary molar and mesiolingual space open for the lower one. It appears that an immediate provisional can be fabricated to close the socket without loading. 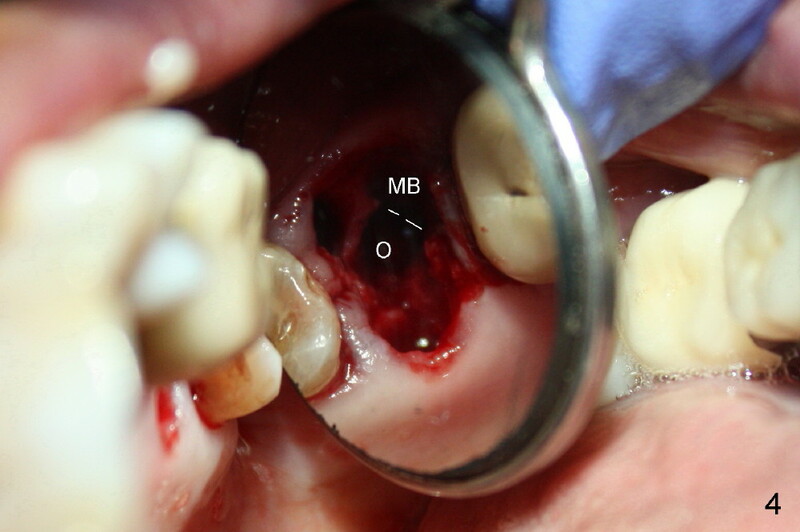 A 66-year-old lady requests restoring a broken tooth (Fig.1). 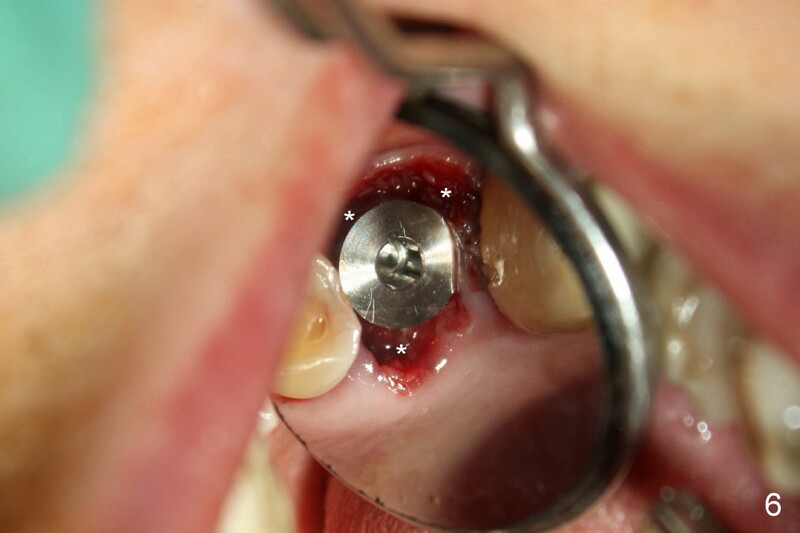 Osteotomy is initiated in a thin septum (Fig.2 (occlusal mirror view) S) by sectioning, drilling and tapping (Fig.3 T). 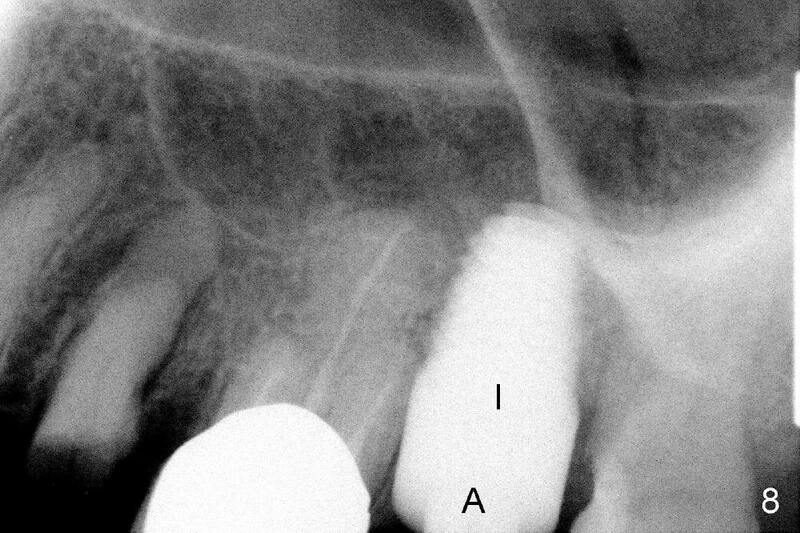 When 7x17 mm tap is removed, the osteotomy is found to form basically in the middle of socket (Fig.4 O). 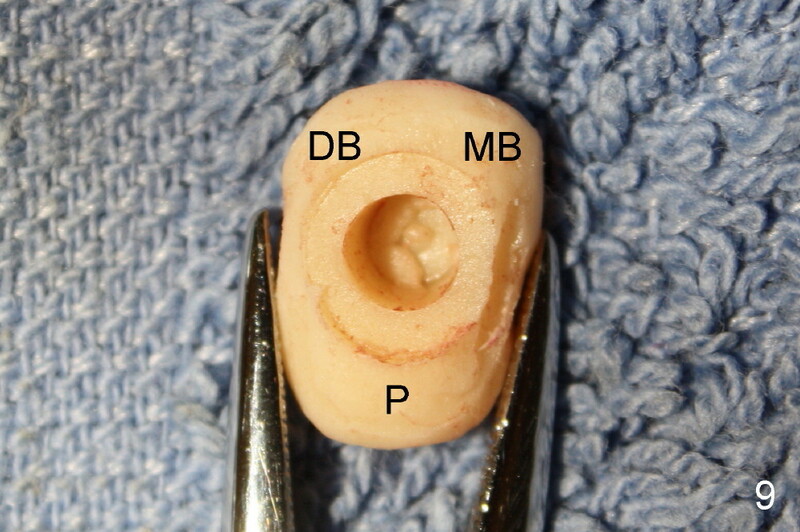 The apical portion of three sockets (Fig.5: MB, P and DB (not labeled) is packed with mixture of autogenous bone and allograft. 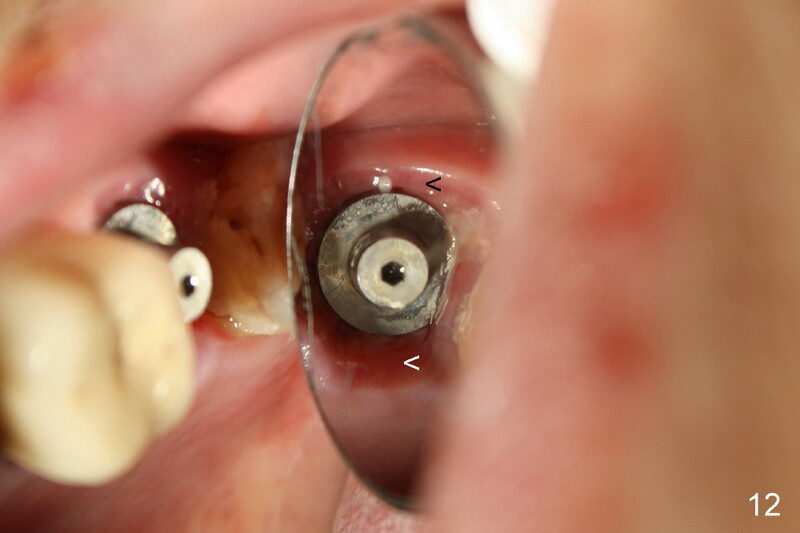 When a 7x14 mm implant is placed, there are buccal and lingual gaps (Fig.6 *). The latter are bone grafted again (Fig.8 *) and require a coverage. 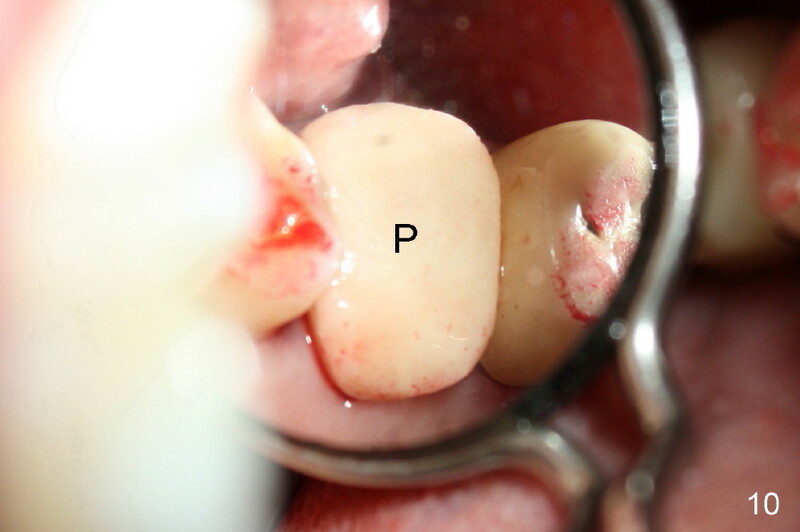 After placement of a 4x3 mm abutment (Fig.7,8 A), an immediate provisional is fabricated (Fig.9 tissue surface view) to cover the remaining sockets (Fig.10 (occlusal mirror view), 11 (buccal view)). 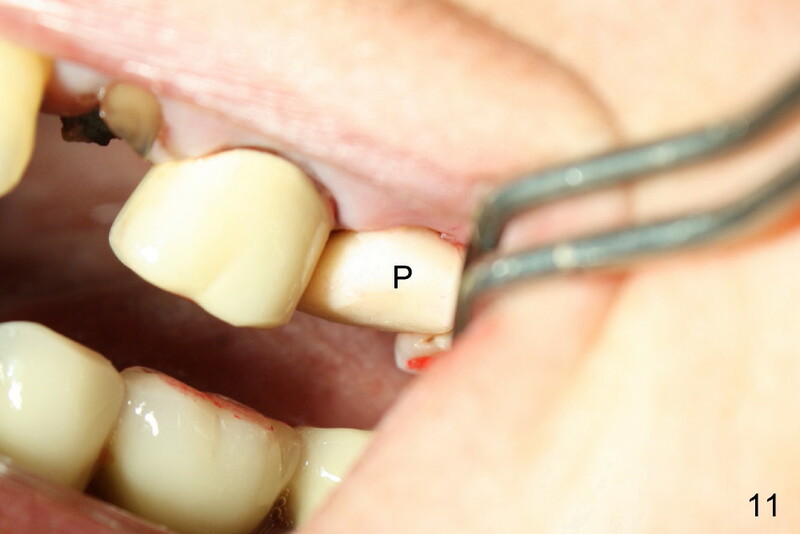 The provisional is infra-occlusal, i.e., load-free (Fig.11). The buccal and lingual aspects of the socket are covered by fresh epithelium 8 days postop (Fig.12 <). 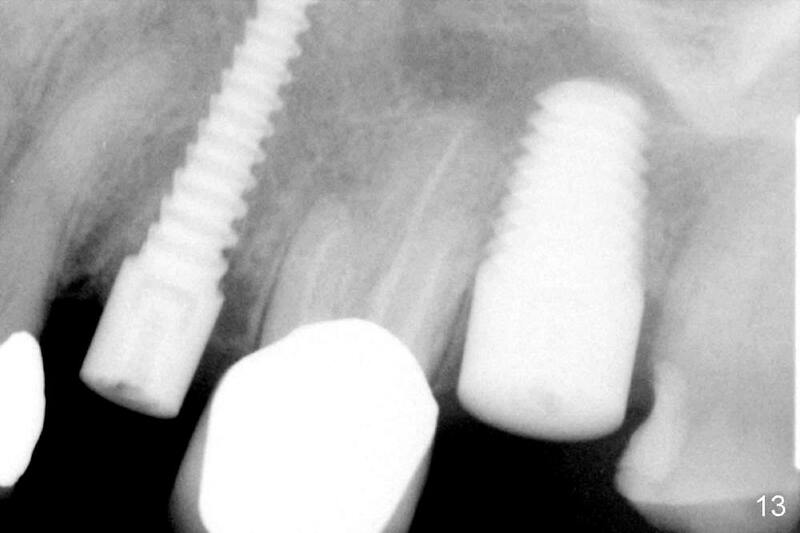 The implant appears to have osteointegrated 4 months postop (Fig.13). 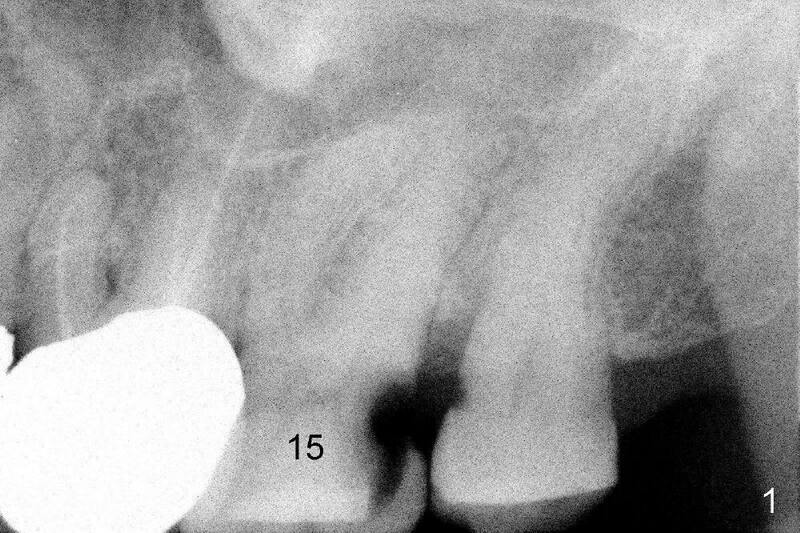 The tooth #16 appears to have shifted mesially. It is difficult to prepare for #15 crown. 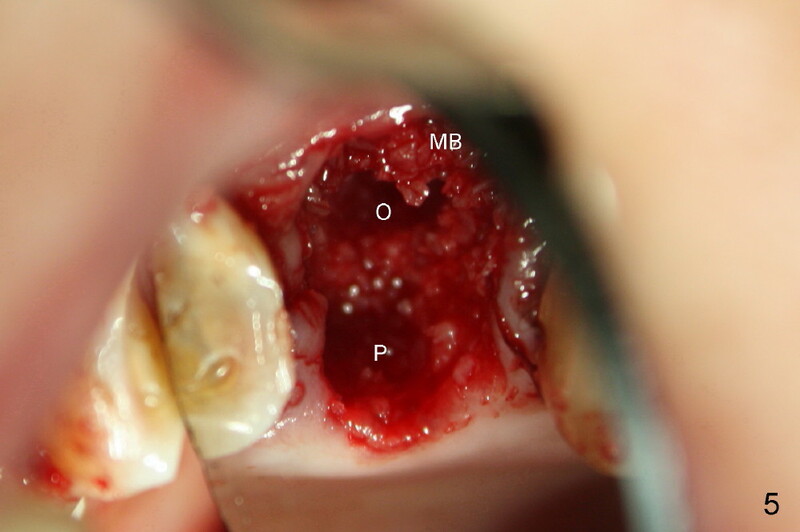 Luckily the patient agrees to have it extracted because of persistent sensitivity after MO composite. 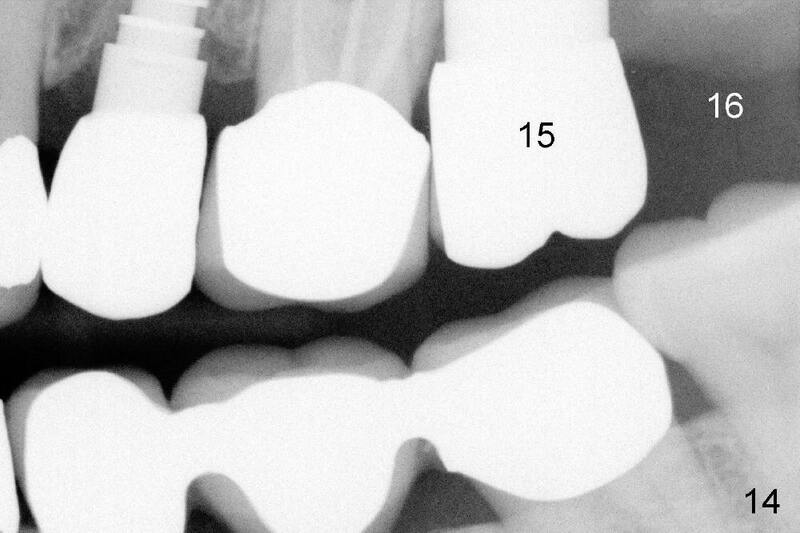 The definitive crown at the site of #15 is cemented 6 months postop (Fig.14).